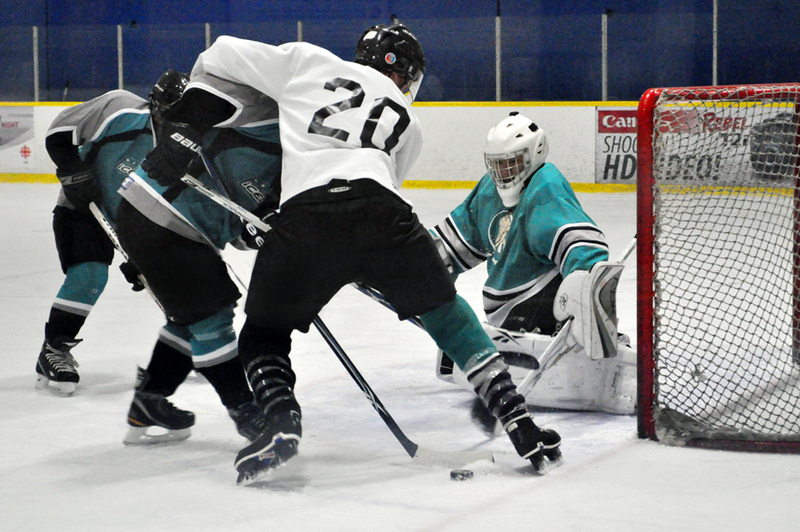 RICHMOND, BC — Brendon Ip (#31), goalie of the West Coast Fattys, tries to poke check the puck as teammate Patrick Shaw (#20) forces an opposing player out of the crease. The Fattys lost the game 8-2 to the East Vancouver Ice Holes. The Ace League game took place at Richmond Ice Centre on November 12. Published April 15, 2011 at 903 × 600.